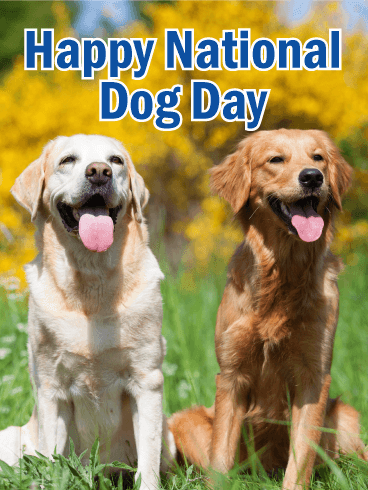 Who doesn't love National Dog Day?! 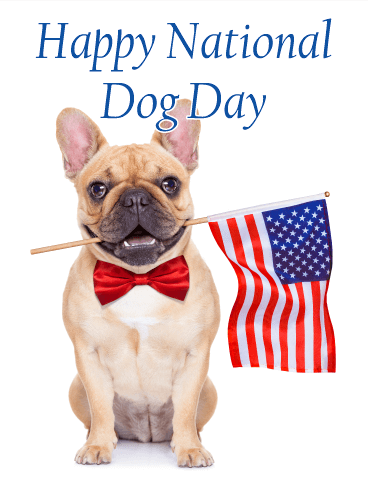 It may not be as popular as some of the other holidays, but it sure is one of the most exciting days to celebrate! 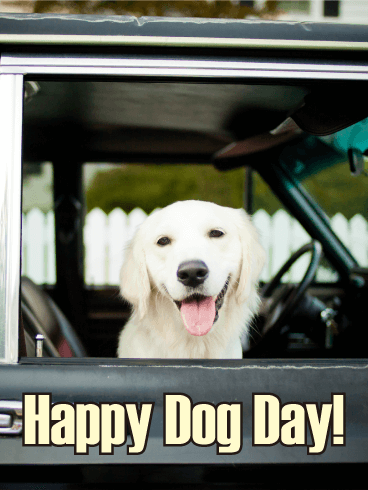 Look at that sweet Golden Retriever smile with the tongue sticking out. 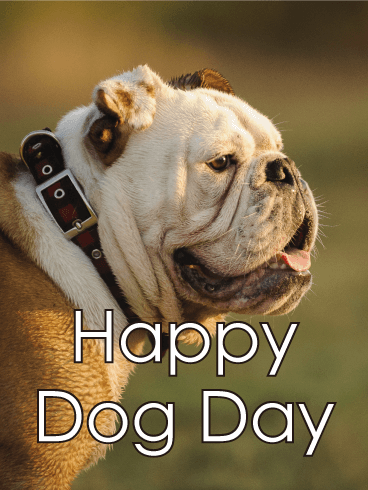 This is the perfect dog day card for the dog lover in your life. The only thing more adorable than one precious pup is two precious pups. 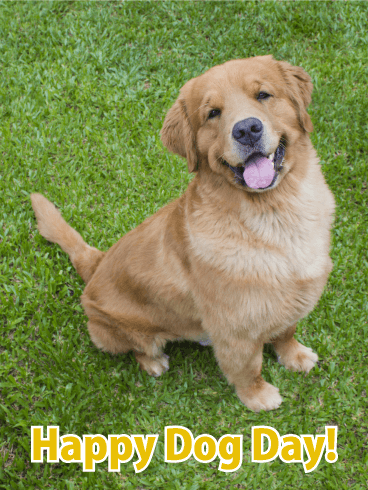 With winning smiles like those, and fluffy fur beyond belief, what's not to love?! They look so friendly and happy! The gorgeous scenery in the background only makes this picture more perfect. 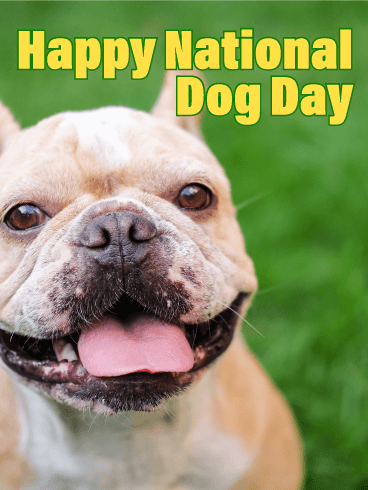 Add it all together and you've got a National Dog Day card that's a definite keeper. Who's a good boy?! Just look at that gorgeous pup. 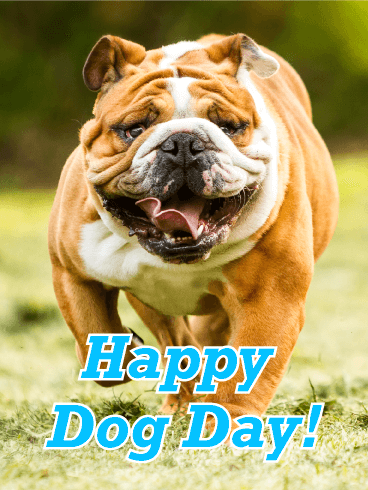 Though he may look silly with his tongue out and his eyes crossed, he's the perfect dog to send the love to someone you care about on National Dog Day. This is a fabulous card for any dog lover in your life, but especially for a German Shepherd owner. 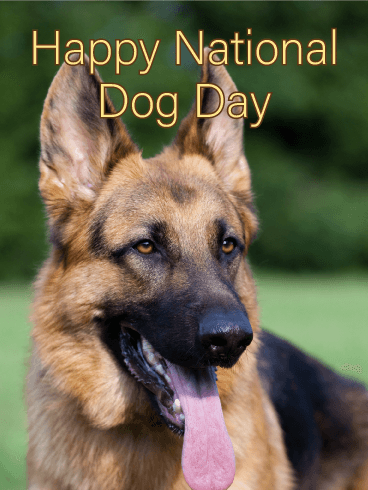 German Shepherd owners are fiercely loyal to their breed and will undoubtedly love this card for National Dog Day. Just look at that sweet dog, with its ears perked up and sweet brown eyes. 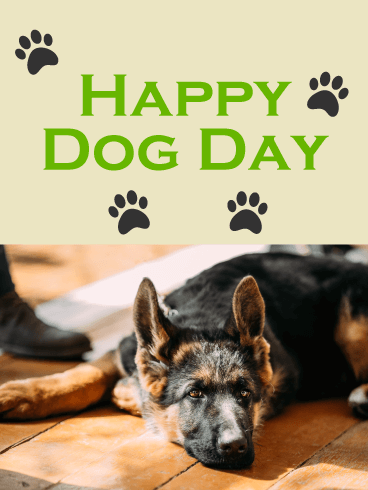 For the German Shepherd owner in your life, whether a close friend or colleague, this greeting card is the perfect way to show them you care and you're thinking of them on National Dog Day. Have you ever seen a more happy, perfect-looking dog? We doubt it! Just one look in those huge, chocolate eyes and this pup will be wrapped around your finger. 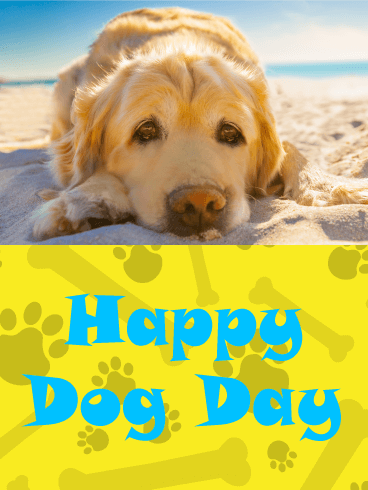 For the dog lover in your life who deserves a special surprise on National Dog Day, be sure to send them this one-of-a-kind card. They're just bound to love it!